Protein: one of the most vital nutrients for your body! But is your body getting enough of it? In our busy lives we do not have the time to give it a serious thought. But, that isn’t fair to your body, is it? Protein powder can be a good way to maintain protein balance in your body. Now, let’s see what you need to know about protein powders to pick the right one for yourself. Whey protein is a very common protein product consumed by people with various fitness goals. It comes in two forms: whey isolate and whey concentrate. The isolate form of whey protein is easily absorbed by your body and thus, is considered to be better for consumption. You can also take it after working out. Moreover, it is relatively high in protein and low in fat than the concentrate. Isolate is comparatively costlier than concentrate, but remember that it is value for your money. There is another type of protein powder called ‘casein’. It is a milk-extract which consists of 80% casein and 20% whey, hence it is also known as milk protein concentrate. For people who are keen on building muscles, casein is a great option. It has very low sodium content. 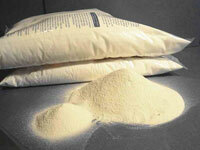 Another form of powdered protein is ‘soy protein’. It was believed that soy protein lacked adequate amino acids, required for a positive impact on health. But not very long ago, a study has shown that soy protein can be highly beneficial to your body and is definitely an excellent option for vegans. The powdered form of protein which is derived from egg-white is called ‘egg-white protein’. It generally contains low fat and proper levels of vital amino acids. After having gone though this, you should have a fair idea about which protein powder you should go for. Martin Elmer is the editor of Billigt proteinpulver. Here you can also read about Whey protein pulver.